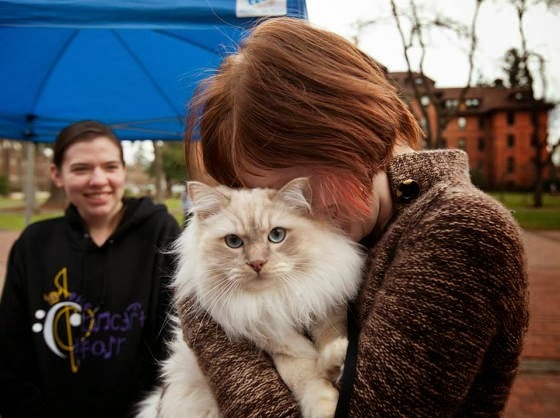 Meet Teddy, a one-year-old Ragdoll therapy cat who offers affection and stress relieve to students at Pacific Lutheran University during finals week. "I'm so stressed out right now," says student Marta Neumann. "This therapy cat was such a happy thing to come upon." "Teddy loves people. He thinks he's a dog," says his human. 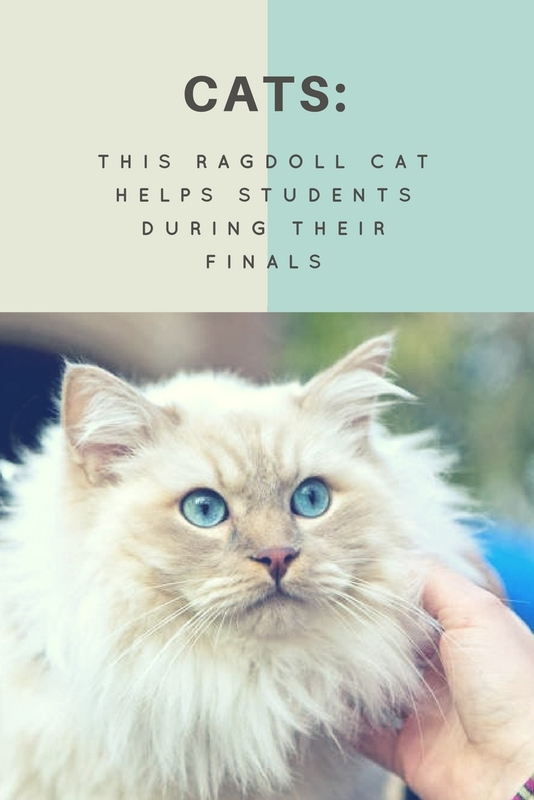 He's helping the students make finals much better because he makes them smile. 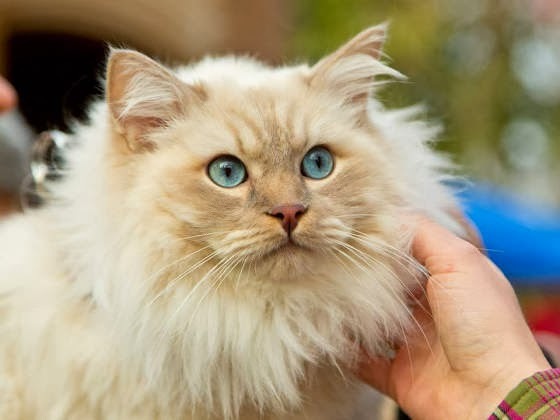 All Mitted Ragdolls are suppose to have a white chin, this one is probably a mismarked Ragdoll or it's a Birman; Birmans always have a colored chin. She is lovely. We are outside the USA. Have a tremendous Thursday. Somebody from my town! (PLU is down the street) Awesome! I just love stress-relief therapy pets! 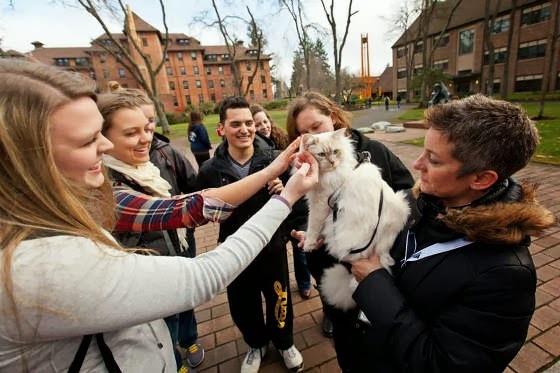 At my university they did the same thing... put a bunch of cats and dogs in a large room and invited students to come say hello to take a breather from exams and studying. Just marvelous. :D This cat is so floofy, yay! I had a Ragdoll for a short time, he was given to me by someone leaving the province. He was such a nice cat! Unfortunately, my first cat did not agree and terrorized him and he started hiding all the time. I finally surrendered him and I miss him. It was hard because my first cat is not very nice most of the time and never wants to cuddle but I thought the Ragdoll would have a better chance of being placed into a home. hay, as way awesum as thiz kitteh iz, thoze studentz shuld bee gettin A'z !!! N de book sounds way awesum.... manee thanx for de contest !! Il n'y a vraiment pas longtemps que j'ai découvert que les chats pouvaient être des "therapy cat". La première fois c'était ... un abyssin. Ce qui est beaucoup plus étonnant d'ailleurs que pour un ragdoll, race de chat beaucoup plus posée ! Les chats sont des mangeurs de stress. What an adorable little fluff ball! what a wonderful kitty! You know we reviewed the Stanley & Katrina book and we just LOVED IT! That's a beautiful cat! Most cats would freak out with so many people around. Wonderful pic. 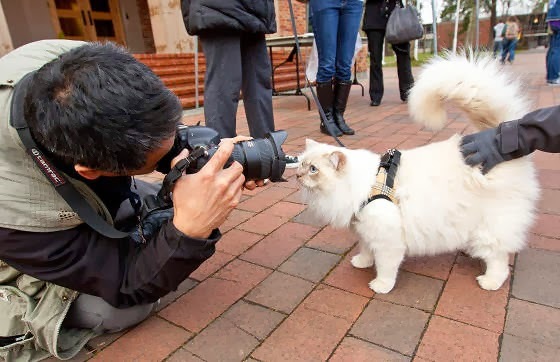 That cat seems so friendly and not camera shy at all. Would love to win book and I tried to enter, but for the life of me I can remember my Facebook account. I'll have to send for it. Cheers!! 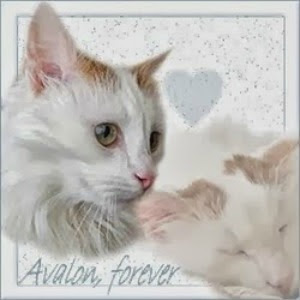 Wonderful pics and beautiful and sweet kitty! Yes, pets are stress relievers. What a great idea for exam week. Look at those eyes!! So beautiful!! I can't believe that any cat would consent to being on a leash! That cat is super adorable! I love how white and fluffy it is. Nice photos. We have a Ragdoll: she is eighteen years old - you can't mistake those blue eyes. 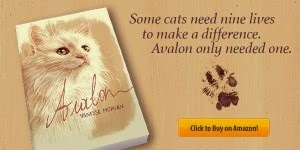 I just love cats, I have four fur-babies of my own! Awesome! I didn't know cats could be certified therapy pets. Very cool! That's my alma mater! Sweet! It seems it's a girl cat, so pretty and sweet!